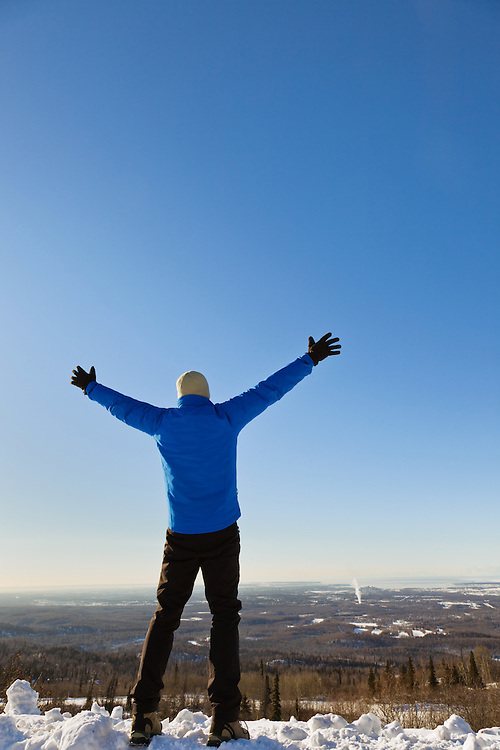 A hiker holds up his arms and expresses exuberance at the late afternoon winter sun overlooking Anchorage along Arctic Valley Road in the Chugach Mountains of Chugach State Park in Southcentral Alaska. Winter. Afternoon. MR.